Maybe you know what she was talking about. 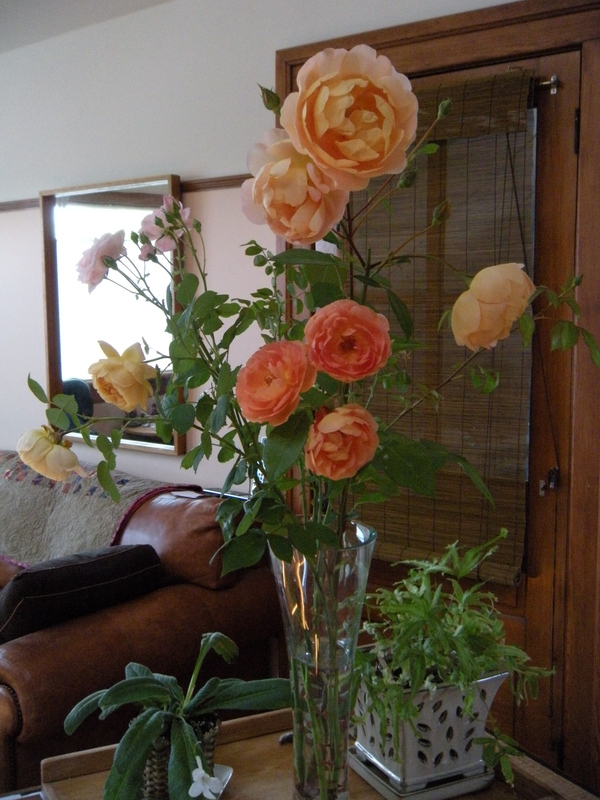 With the heat wave we’ve been having here, and because the rose bower was being trimmed, G. appeared a couple of days ago with rose cuttings over three foot long in his hand. I had noticed a thick glass vase while cleaning out the pantry that day so we put the two together. 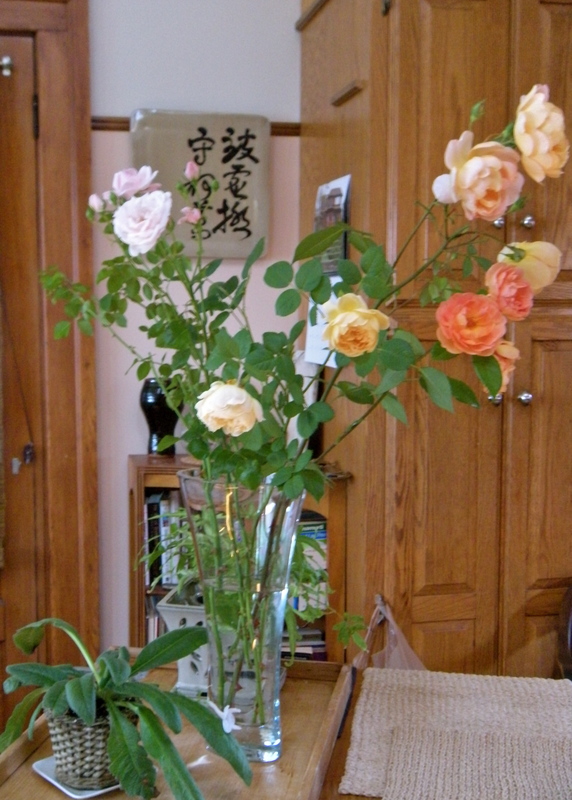 Astounding because these were not just “long-stemmed roses,” they were four feet high! Today, I cut more in to save them from wilting in the heat and just had to take a couple of photos so that you might enjoy seeing them too. Everything may not be coming up roses in our lives, but it’s hard to ignore these just the same. so gorgeous!! how lovely it must be to have them in your world!